Salsa at Dance City, Sunderland - Salsa Simplemente's Page. New term starts on Tuesday 8 January 2019. 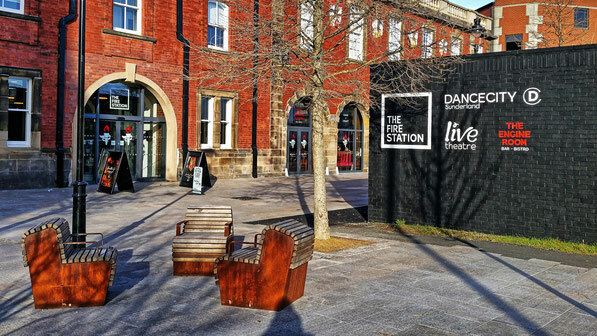 Dance City Sunderland opened at the beginning 2018 in the refurbished Fire Station near the Empire Theatre in the town centre. There are 30 different classes each week, including Salsa, and I'm very happy to be a part of this new venture for Sunderland. As usual the salsa classes are relaxed, informal and fun, and we are taking things at a gentle pace as most people who have come along have not danced previously. So if you or your friends are free during the daytime and want to learn how to salsa, then come along and join us at Dance City Sunderland. Classes are every Tuesday . Beginners 1 - 2 pm More info and booking. Improvers 2 - 3 pm More info and booking. 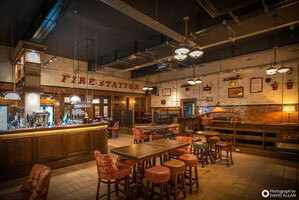 The ENGINE ROOM in the Fire Station is a modern bistro-bar which is getting a very good reputation. An ideal place for pre and/or post class meet-ups and refreshments.